What on earth is the Pacific Ring of Fire? Activity along the Pacific Ring of Fire has been making the headlines of late. This chain of volcanoes is considered among the most hazardous areas on the planet. However, by understanding plate tectonics, we can learn how geological action contributes to the confusing relationship between volcanoes and earthquakes. What is the Pacific Ring of Fire exactly? The Pacific Ring of Fire is a nickname for the circum-Pacific belt around the Pacific Ocean. Due to its unique geological makeup, it has made a name for itself as one of the most tectonically and volcanically active places in the world. The word “fire” in its nickname is derived from the frequent earthquakes and volcanic eruptions that occur on this belt. In fact, it is home to 90 percent of the world’s earthquakes and 75 percent of its volcanoes. Conveniently referred to as a “ring”, the shape of the belt actually looks more like a distorted horseshoe, extending into Southeast Asia. If we were to imagine our planet as a giant puzzle made up of oddly-shaped jigsaw pieces, the circum-Pacific belt would be a meeting place for six out of seven of the largest pieces. In geography, these are called tectonic plates. The study of how these plates interact is called plate tectonics. Tectonic plates are constantly moving, at speeds from 0.6cm to 10cm annually. Although a few centimeters may not seem much compared to the sheer size of each plate, these small movements have a profound influence on the planet’s geology over time. Illustration of the northwards migration of Indian plate. This diagram is for illustrative purposes only. Source: The Geological Society and US Geological Survey. For example, the entire Himalayan mountain range was formed (and is still forming today) from the collision between the Indian and Eurasian plates which began 50 million years ago. When plates of different densities collide, the plate of higher density is forced beneath the one of lower density. This creates subduction zones. Earthquakes and volcanoes occur at these zones. Situated directly above the western side of the circum-Pacific belt, Indonesia has over 400 volcanoes, of which over 100 are active, constituting nearly a third of all active volcanoes in the world. One of the most active volcanoes in the country is Mount Merapi, which has been erupting regularly for the past 400 years. The most recent eruption took place just last year, forcing the evacuation of 660 people. Volcanoes on the circum-Pacific belt like Mount Merapi are formed when rock layers within the subducting plate melts from high temperatures in the mantle—a layer of hot molten rock beneath the Earth’s surface. The melted rock is magma, which accumulates in what is known as the magma chamber. When the magma chamber becomes full, the excess magma is ejected as an eruption on the surface. The most explosive, and unsurprisingly, the deadliest eruptions are conceived from thick, viscous magma with high silica content. Magma that is more viscous prevents air bubbles from escaping to the surface. This causes more pressure to build up in the volcano for a violent eruption. Earthquakes can take place in the same regions where volcanoes are found. But earthquakes occur under different circumstances. Earthquakes are triggered when rock layers in subducting plates are abruptly displaced. Under normal circumstances, when tectonic plates collide, advancing plates will be temporarily halted by friction between the rock layers. Over time, the forward momentum eventually overcomes the frictional forces, and the rocks are abruptly displaced. The result of this sudden movement is an earthquake. Due to the nature of plate interactions at subduction zones, 81 percent of the world’s largest earthquakes take place at these zones on the circum-Pacific belt. The 9.1 magnitude earthquake that hit Japan in 2011 was caused by a 35m displacement at the subduction zone between the Pacific major plate and the Okhotsk minor plate. Are volcanic eruptions are caused by earthquakes? Many scientists, including evolutionary scientist Charles Darwin, have speculated a correlation between tectonic and volcanic events. Historical observations of large earthquakes also point to such a possibility. The devastating eruption of Mount Fuji in 1707 was preceded by Hoei earthquake, the second largest in Japan’s history. Studies have also identified higher chances of volcanic eruptions occurring after an earthquake has taken place. Unfortunately, the mechanisms and conditions behind earthquake-triggered eruptions are not well understood. Currently, most volcanic eruptions are still seen to be independent of earthquake events. Red indicates volcanic eruptions, and blue indicates earthquakes. Data taken from the Smithsonian Institution, National Museum of Natural History, Global Volcanism Program, and the European-Mediterranean Seismological Centre. What we know with certainty, though, is that small earthquakes that are detected prior to an eruption are usually precursors to a volcanic eruption. These small earthquakes are caused by changes in the magma movement beneath the volcano. In fact, scientists keep track of seismic activity in volcanic regions as a reliable way to predict eruptions before they happen. However, these earthquakes are a far cry from those that are triggered by tectonic plate movements. They are so small that they would only be detected by special instruments called seismographs. 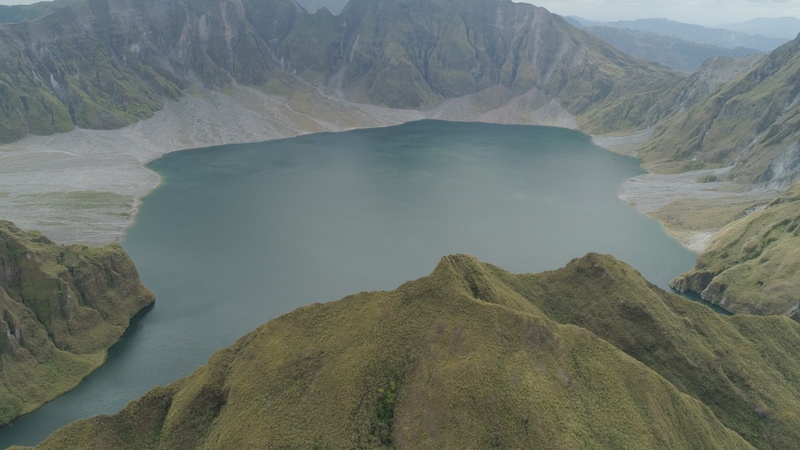 Lake Pinatubo is a crater lake that formed after Mount Pinatubo’s eruption in 1991. It is the deepest lake in the country. On the other hand, violent volcanic eruptions can sometimes trigger earthquakes. When Mount Pinatubo erupted in 1991, the volcano summit collapsed, and resulted in thousands of small earthquakes in Luzoc, Philippines. It also led to the formation of Lake Pinatubo, a crater lake that now sits at the top of Mount Pinatubo. 2018 has been a turbulent year for countries along the circum-Pacific belt. Japan, Indonesia, Papua New Guinea, Taiwan, The Philippines, Iran, and China have all been hit by large earthquakes, resulting in a massive loss of lives and property. Just last December, Anak Krakatau (child of Krakatau, as it was born out of the previous Krakatau volcano), one of the world’s most notorious volcanoes, underwent visible transformations after a series of violent eruptions. Satellite images of Anak Krakatau at 17 September 2018 to 15 January 2019. Images from EO Browser, Sentinel-2 L1C. Together with recent environmental issues like global warming, coral bleaching, and extreme weather phenomena, these developments seem to support the rising concern that our planet is becoming less tolerant of human civilisation. Yet, scientists have confirmed that earthquakes and eruptions are happening just as frequently now as they were in the past. The real reason for this perception lies in improvements in global communication and advancements in monitoring technology. Thanks to the internet, people are notified of a volcanic eruption almost instantaneously, regardless of how far away they are from the disaster site. Furthermore, the number of earthquake-monitoring stations have increased dramatically over the decade, allowing more of such events to be detected, studied and reported. 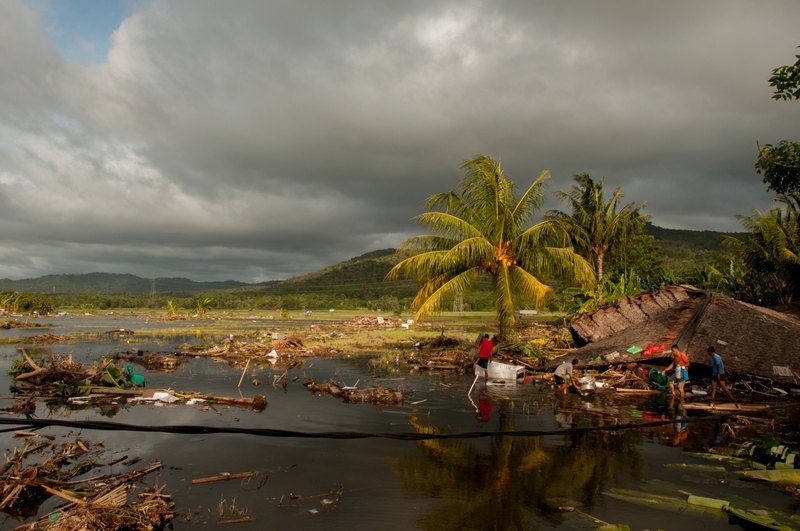 Houses were decimated by the tsunami that was triggered by the eruption of Anak Krakatua. Banten, Indonesia, 28 December 2018. Perhaps the most worrying problem regarding the Pacific Ring of Fire, however, is how more people are now living in hazard-prone areas. As a result, natural hazards that typically take place along the belt appear to have become more destructive and deadly. Although there are benefits to living near volcanoes and earthquake-prone regions, proper infrastructure and reliable warning systems are vital to prevent casualties to the ‘fire’ in the region. Ammon, Charles J., Thorne Lay, Hiroo Kanamori, and Michael Cleveland. ‘A Rupture Model of the 2011 off the Pacific Coast of Tohoku Earthquake’. Earth, Planets and Space 63, no. 7 (July 2011): 693–96. ‘Are Earthquakes and Volcanic Eruptions Related?’ Earth Observatory of Singapore. Accessed 31 January 2019. ‘Continental/Continental: The Himalayas’. The Geological Society. Accessed 31 January 2019.
fraxen. ‘Tectonic Plates’. Github, 23 January 2019. https://github.com/fraxen/tectonicplates. ‘Global GIS : Volcanoes of the World ; Volcano Basic Data in EarthWorks’. EarthWorks by Stanford Libraries. Accessed 31 January 2019. ‘Global Volcanism Program | Database Search’. Smithosonian Institution, National Museum of Natural History, Global Volcanism Program. Accessed 11 February 2019. Hays, Jeffrey. ‘VOLCANOES IN INDONESIA’. Facts and Details, June 2015. Kirk, Ashley, and Hugh Morris. ‘Mapped: The Countries with the Most Volcanoes – Where Does Indonesia Rank?’ The Telegraph, 27 November 2017. ‘Monitoring Volcano Seismicity Provides Insight to Volcanic Structure’. USGS. Accessed 31 January 2019. Newhall, Chris, James W. Hendley II, and Peter H. Stauffer. ‘The Cataclysmic 1991 Eruption of Mount Pinatubo, Philippines, Fact Sheet 113-97’. USGS, 28 February 2005. ‘Search for Earthquakes’. European-Mediterranean Seismological Centre. Accessed 11 February 2019. ‘The Ring of Fire’. National Geographic. Accessed 31 January 2019. ‘Where Do Earthquakes Occur?’ USGS. Accessed 31 January 2019. 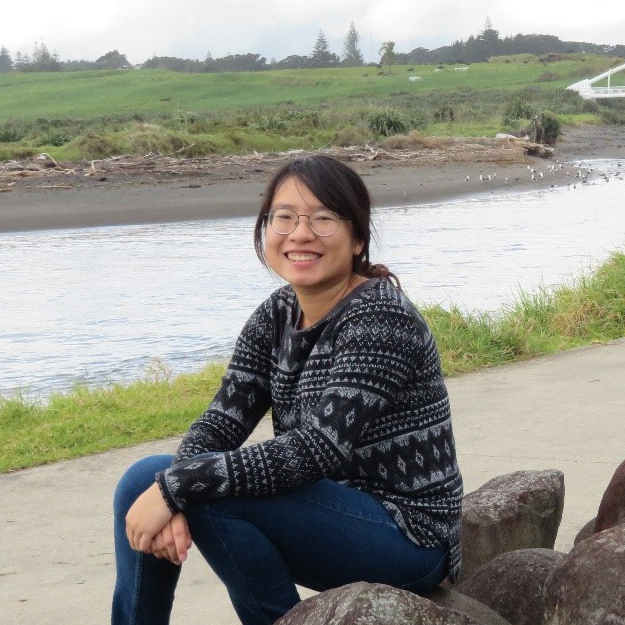 Ying Xuan is a former intern at Kontinentalist who enjoys learning about how humans interact with the environment. An undergraduate from the Bachelor of Environmental Studies programme at the National University of Singapore, she believes that creating a greater understanding and interest in the natural world is important for its preservation. She loves anything chocolate but the notoriety of the cocoa industry sometimes stops her from buying what she likes.